On this Thanksgiving, thankful for family and friends and for all the millions of people who care about the environment and who are working daily to see this planet survives the antics of humans. 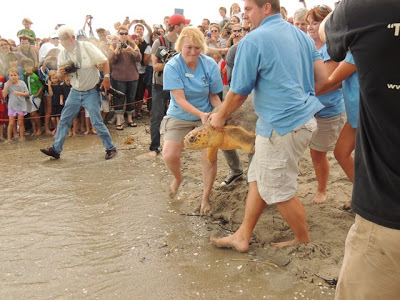 "Over 500 people gathered at Gumbo Limbo, located on the west side of A1A near Boca Raton, FL, to watch Cindy’s release into the Atlantic Ocean. A green and yellow John Deere Gator rolled slowly down to the designated release area, with Cindy safely nestled in the back inside a children’s plastic wading pool. 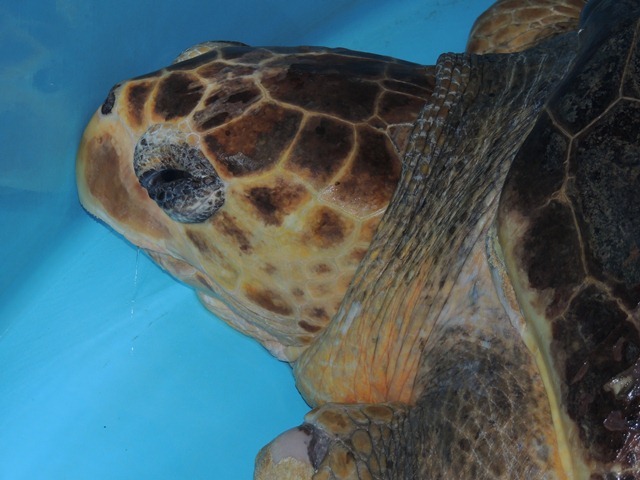 Staff and volunteers hoisted the turtle and pool out of the back and set her gently down on the sand. While I wouldn't want to imply that I could decipher a turtle’s emotions (particularly from my vantage point), it seemed clear that instinct was taking over as the smell of the salty air hit Cindy’s nose. She seemed antsy; she was ready to go home and it was an honor to watch her get there. A team of five people carefully lifted the turtle from under her shell and carried her to the water. As they set her down, the crowd broke into applause, as Cindy swam south away from the shore and navigated a sandbar. It was a great day to be someone who appreciates nature." Gumbo Limbo is located in Palm Beach County and is on the Great Florida Birding Trail, more information and a link to the Trip Planning Wizard here.